My cat is looking at this. 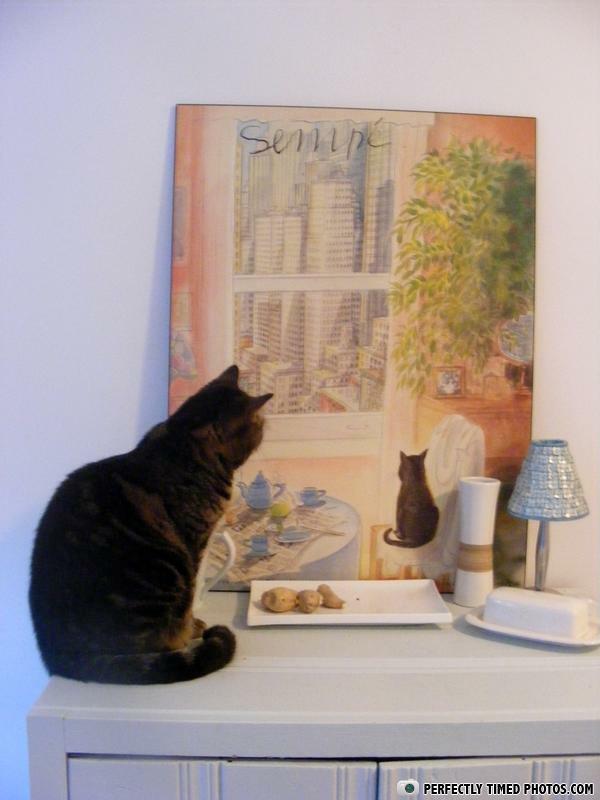 My cat is contemplating a picture of a cat contemplating a picture of a cat contemplating in a picture... CAT INCEPTION!!! Two muffins were in the oven...They were taken out after about 40 minutes, and then enjoyed by all. Him - Would you like to dance?